Festivals are the best time to start a new business because most people are on a spending spree during this period. Christmas, for that matter, is no exception where both the weather and the festivities followed by New Year celebrations give a much needed boost to new business ventures. 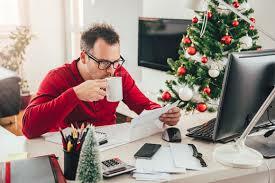 Let’s check out a few business ideas that may prove to be success during Christmas! Since most houses receive a lot of guests during this season, cooking for guests is difficult if one wants to join in the fun. Hence, home cooked food delivery businesses or homemade beverages like wines serve as a great plan for a new business. There are a lot of homes where the members would prefer ordering tasty home cooked food and delicacies rather than getting into the process of working on it themselves. Bakery services in this regard are always a hugely popular business venture, though competitions are high. For those who are creative and passionate in home décor, Christmas offers a great opportunity for party planners. This includes services like party entertainers, decorations and catering which can give great boost to new business starters. For homes that have children, party-planning business have a huge prospect. As we all know,most people are on a shopping spree during festive period. Christmas is a great time to showcase your creative skills and test your product in the market. These businesses can be started from a very minimal investment and can also be operated from home. Most homesget renovated and decorations are put up quite a few weeks before Christmas as they are often eager to start their new year with a fresh look. Hence there are plenty who would at least consider opting for cleaning services. This is a profitable venture no doubt because customer satisfaction can be assessed immediately and one can build up a good customer base (owing to word of mouth) besides adding up new ones over the festive period. If you were planning to start a fitness training centre or be a personal trainer, start campaigning before Christmas as almost all people get into fitness goals for the new year. Since there is always a rush in popular gyms during this time, personal fitness training at home can be a great idea. People tend to travel a lot during Christmas and lending your property as vacation homes can be an easy way to earn money. One can be involved in self-promotion or get in touch with companies like Airbnb. Christmas is also a great time for making financial decisions. Many banks post October come up with new offers, especially pertaining to business loans, be it small or large. Hence, if a working capital was stopping you so far, reach out to your banker or lender and avail the best business loan deals to fulfill your dreams!